In the latest mystery in the New York Times bestselling series, Maisie Dobbs must unravel a case of wartime love and death—an investigation that leads her to a long-hidden affair between a young cartographer and a mysterious nurse. April 1932. 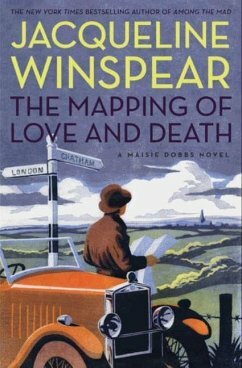 London psychologist and investigator Maisie Dobbs is retained by Michael's parents, who have recently learned that their son's remains have been unearthed in France. They want Maisie to find the unnamed nurse whose love letters were among Michael's belongings—a quest that takes Maisie back to her own bittersweet wartime love. Her inquiries, and the stunning discovery that Michael Clifton was murdered in his trench, unleash a web of intrigue and violence that threatens to engulf the soldier's family and even Maisie herself. Over the course of her investigation, Maisie must cope with the approaching loss of her mentor, Maurice Blanche, and her growing awareness that she is once again falling in love. 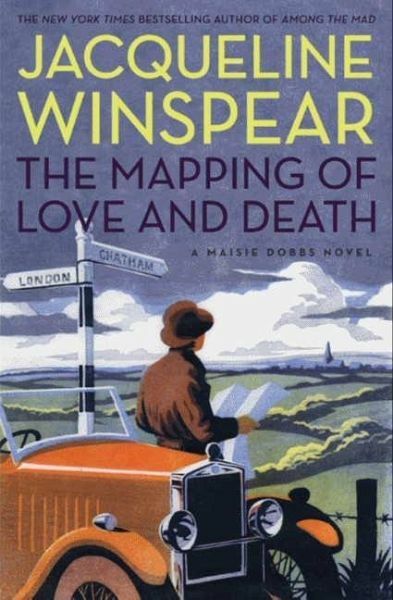 Following the critically acclaimed bestseller Among the Mad, The Mapping of Love and Death delivers the most gripping and satisfying chapter yet in the life of Maisie Dobbs.